The majority of Ian’s work is in his specialist fields of public law, human rights and employment law. Novel cases raising issues under the Human Rights Act are a particular strength of his practice. Much of his advisory, drafting and advocacy work occurs in the commercial sphere, but Ian’s strong commercial law practice has also continued to flourish outside his specialist areas. Frequently, his work involves cross-border disputes and raises issues of the conflict of laws (in particular the recognition of foreign judgments) and EU law. Ian has appeared before the Privy Council in six cases in the last few years in relation to appeals from Jamaica, Trinidad & Tobago and the Isle of Man. Other work of an international character has included substantial cross-border fraud litigation in The Bahamas, mutual assistance proceedings involving the UK, Australia, Switzerland, the Isle of Man, Jersey and The Bahamas and proceedings in the European Court of Human Rights against Spain and Russia. Clients continue to benefit from the breadth of work undertaken in diverse areas of law during his first ten years as a barrister, particularly where cases involve intersecting areas of law and a need to understand or forge links beyond the traditional boundaries of a subject. Ian also serves on the Executive Committee of the Human Rights Lawyers’ Association. Ian Rogers has a broad public law practice, with particular expertise in human rights, EC and employment law. Much of his work is in the commercial sphere. Member of the Attorney-General’s Panel of Treasury Counsel. 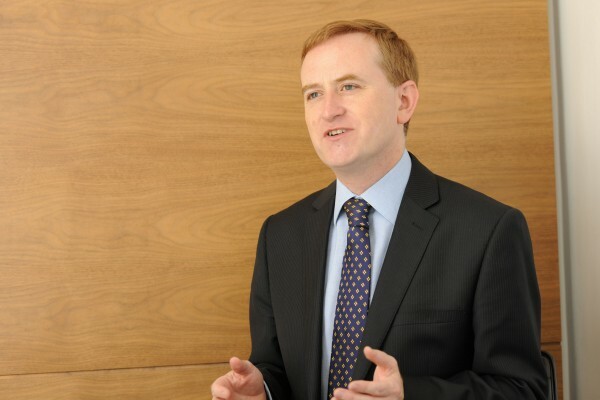 Ian has a broad range of commercial law experience and particular expertise in banking work, including advising an international bank on the implications of the Human Rights Act for aspects of its business and extensive trial advocacy experience in matters concerning the law of guarantees, mortgages and undue influence. He has also been instructed recently in the fields of competition law, partnership, construction law, insolvency and directors’ personal liability. He frequently represents parties in applications for urgent relief, such as freezing injunctions. Much of his work is of an international character, raising issues of the conflict of laws and EU law. Ian is an accomplished employment law advocate with experience ranging over ten years in employment tribunals and the Employment Appeals Tribunal. In addition to familiar unfair dismissal, wrongful dismissal, redundancy and discrimination claims which make up a large part of employment practice, Ian has considerable expertise and experience in advising on TUPE (including contracted-out service provision changes), employment contract disputes (including restrictive covenants, breach of confidentiality clauses, share option schemes, discretionary bonus clauses, garden leave), equal pay, exclusion of part-time workers from pension schemes and disciplinary proceedings. Clients rely upon his pragmatic and thorough approach to problem-solving, whether advising in conference or in writing, particularly at the early stages of a dispute or before issues in the workplace escalate. His knowledge of EU law is also an advantage in the many areas of European-inspired employment legislation. Ian acts for a wide range of clients in domestic and international human rights proceedings. He has a particular interest in the way in which the autonomous human rights jurisdiction in the United Kingdom and its underlying principles have developed since the introduction of the Human Rights Act. Human rights issues are found in cases across the legal spectrum and clients therefore benefit from his significant practical experience in diverse areas of law. Ian frequently appears in the Administrative Court and much of his work involves applications for judicial review of the actions of public bodies. He regularly acts on behalf of public bodies, those seeking to challenge their decisions and interested parties. Ian has lectured and published on human rights, EU, commercial and employment law, notably ‘The Creation of a Private Law of Human Rights in the UK’ (EUI) and chapters of ‘Employer’s Liability Cases’ (Butterworths). How to spot a human rights point in a private law case’ (2002) New Law Journal NLJ Vol.152 No.7056 Pages 1723-1725, 15/11/2002. Ian read Law at Hertford College, Oxford, where he obtained a First Class Honours degree and was awarded the University Prize for Tort. Called to the Bar in 1995, he soon developed a successful and diverse practice in commercial and common law, with trial advocacy consistently forming a substantial part of his work in a range of courts and tribunals. Ian obtained valuable experience abroad, firstly in Australia in 1998, and later in Italy, in 2001. In Australia, as a Pegasus Scholar, he worked for several months for a leading global commercial litigation department and then as a Judicial Associate to Mr Justice Lindgren in the Federal Court. In Italy, he took a sabbatical year at the European University Institute, Florence, in order to research and monitor the impact of the Human Rights Act in its first year of operation. He was awarded the Master’s degree in Comparative, European and International Law and published in the fields of human rights and EU law.